The indices for mining, manufacturing & electricity sectors in Nov stand at 110.6, 127.2 and 147.2 respectively. Manufacturing index saw negative growth rate of -0.4 percent. Industrial growth unexpectedly plummeted to a 17-month low in November as a postfestival season decline in manufacturing, fewer working days in the month and tighter financial conditions pulled down output. Growth as measured by the Index of Industrial Production (IIP) stood at 0.47 per cent in November, with the high base of last year contributing to the slowdown, according to data released by the statistics office on Friday. That was against expectations of around 4 per cent growth. IIP grew 8.5 per cent in November 2017. Manufacturing, which constitutes 77.63 per cent of IIP, shrank 0.4 per cent versus 10.4 per cent growth a year ago. October growth was revised up to 8.4 per cent from 8.1 per cent estimated earlier. Depending on when the peak Diwali festival season occurs, production in September, October and November tends to be volatile. “While the adverse base and the post-festive winding down of momentum along with fewer working days was expected to lower the IIP growth, the magnitude of correction has been sharper,” said Shubhada Rao, chief economist, Yes Bank, adding tighter domestic financing conditions may also have played a part. The Reserve Bank of India recently announced measures to ease liquidity and bolster economic activity. The first advance estimates of GDP released earlier this week showed the economy expanding at 7.2 per cent in FY19 with second-half growth at 6.8 per cent against 7.6 per cent in the first six months. 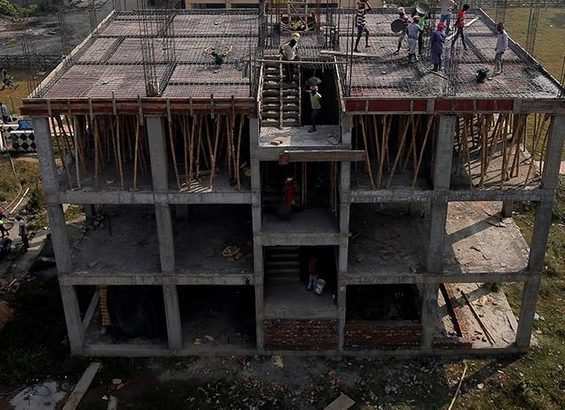 In its first forecast for 2019, the World Bank said India’s growth will rise to 7.5 per cent next year. Overall industrial production grew 5 per cent in April-November period compared with 3.2 per cent in the year earlier. Only 10 out of 23 manufacturing subgroups reported positive growth. Capital goods output, a proxy for investment activity, declined by a sharp 3.4 per cent while consumer durables, an indicator of urban demand, fell 0.9 per cent . “The worrisome aspect is that much of the decline has come on account of capital and intermediate goods like machinery and electrical equipment, metal products, motor vehicles, and trailers,” said Tushar Arora, senior economist at HDFC Bank. Mining expanded 2.7 per cent in November compared with 1.4 per cent a year earlier, while electricity generation rose 5.1 per cent . 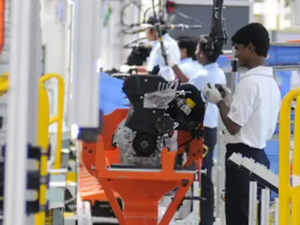 Production of intermediate items was down 4.5 per cent on a base of 6.5 per cent growth in the same period last year. “Despite the big decline, industrial production has fared much better this fiscal (5 per cent average growth) compared with last (3.2 per cent ),” said Crisil chief economist DK Joshi. “But this is a blip and data should improve in the coming months. Early indicators do not suggest a rapid recovery. Car sales fell 3 per cent in December, as per the Federation of Automobile Dealers Associations. However, purchasing managers’ indices have remained strong in December. Sunil Sinha, principal economist at India Ratings, said that industrial growth is still not on a sound footing due to the “high variability in industrial growth across sectors and within sectors on month-onmonth basis”. Rao said that, going forward, incrementally improving liquidity, normalisation after festive season related disruptions and spending tied to elections could support growth.